Intended to succeed the Mosquito B, the 15m span Glasfliigel 304 single-seater is a new design very similar to the Mosquito, work on which began in the autumn of 1979 by a team under Martin Hansen. 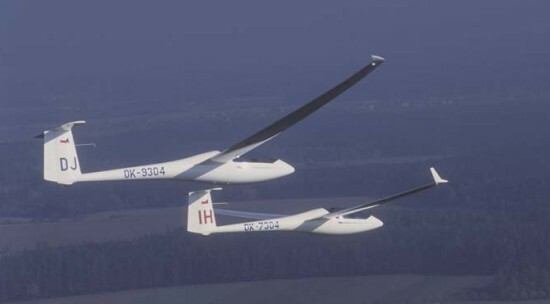 Construction is of glassfibre, with no carbon-fibre employed, although the 304/17 (now known as the Glasflugel 402), which has detachable wing tips to give a span of 17m, has largely carbon-fibre wing tips. It employs a new 16.4% thickness/chord ratio wing profile developed by Akaflieg Braunschweig and extensively tested and refined on a Mosquito. It features Glasflugel trailing edge dice brakes and interconnected variable camber flaps, a parrallogram control stick, T-tail with fixed stabilizer and elevator, and automatic connection on assembly of all flight control. The fuselage is similar to the Mosquito's but with a more pointed nose; the monowheel is retractable. The instrument panel can be tipped up, together with the front-hinged upwards opening canopy, with which it is integral, to allow the pilot more unobstructed entry. Up to 253lb of water ballast can be carried. The prototype, D-9304, first flew on 10 May 1980. Production of the 304 started in the spring of 1981. 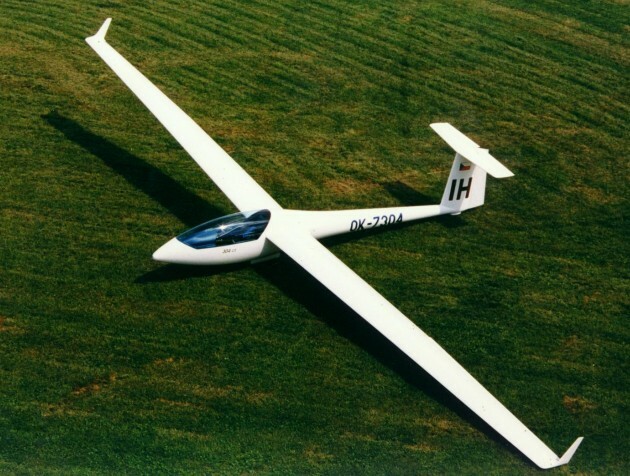 HPH Ltd. took over the original molds and drawings for glider Glasflugel 304 from Mr. George Brauchle in 1998.